Who can resist hugging a man wearing an Irish hand-knitted sweater? 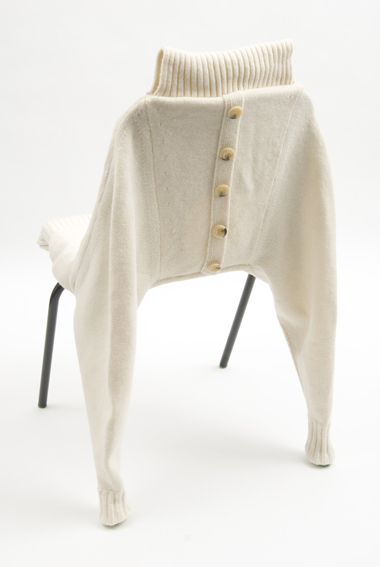 We can’t, and so when we saw these chairs that are themselves, wearing their own “sweaters”, we were smitten. First of all, the artist, has taken the idea of a chair cover and made it comfy, cozy, and sustainable. Its a hug, its a chair, no… its, well, you get what we mean. The concept behind the wrok of Claire-Ann is that her use of knitted yarns, and shapes we’re familiar with are put into a new context. The use of these shapes, in connection with interiors and functional objects that we are used to make her work both arresting and at the same time, unique and surprising. Interiors and furnishings have never addressed the idea of human comfort in such a “feel good” way until Claire-Ann arrived. We can’t wait to see what she’ll come up with next. 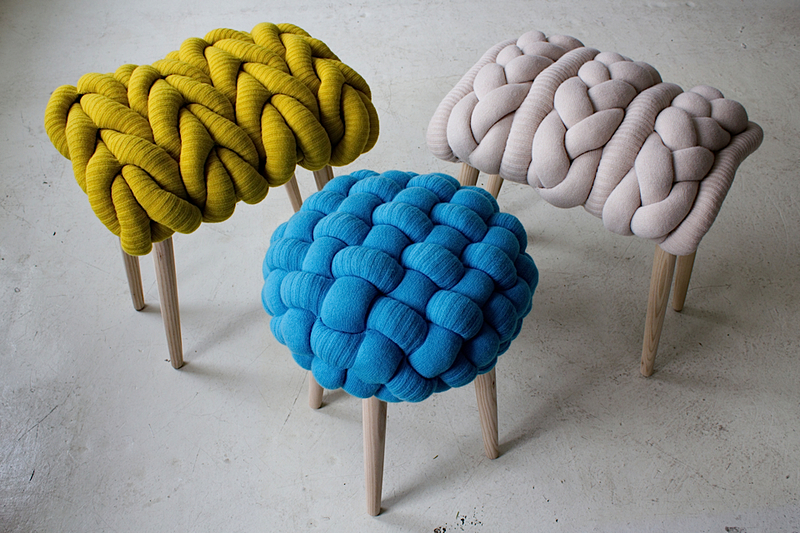 Next Post Re-Inventing the Chair: Are you Sitting down?